Vapor Ducts for the Buchi Rotavap can look very similar. But it is very important to replace your broken vapor duct with the correct part number for that particular Buchi Rotavap model. Hitechtrader has been helping customers find the correct replacement parts for their Rotary Evaporators as well as all other types of lab equipment. 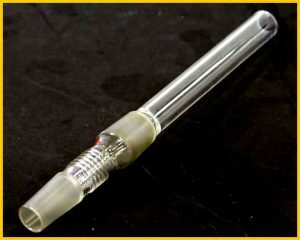 Our technical support team will help you find the correct replacement vapor duct for your Buchi Rotavap. Why is it Important to Buy the Correct Buchi Vapor Duct? The video below demonstrates how two different vapor ducts that look the same will not work on a particular Buchi Rotavap. Please give us a call anytime at (609) 518-9100 or live chat on our website if you have any questions about your Rotary Evaporator or other lab equipment.